Call of Duty: Advanced Warfare, released November 4th, is getting ready to launch its first expansion pack. Havoc, which is the first of four DLC maps included in the season pass, will release early 2015. Though many are looking forward to the new content, the much anticipated Exo Zombie Mode will also be available. Activision and SledgeHammer games released an official teaser trailer this past week. Zombies are no strangers to the Call of Duty realm. Call of Duty: Black Ops originally started off the zombie map packs and are a real favorite amongst COD fans. Though Treyarch isn’t involved with Advanced Warfare we can only hope this new league of zombies meets up to players’ expectations. The trailer seems very promising. 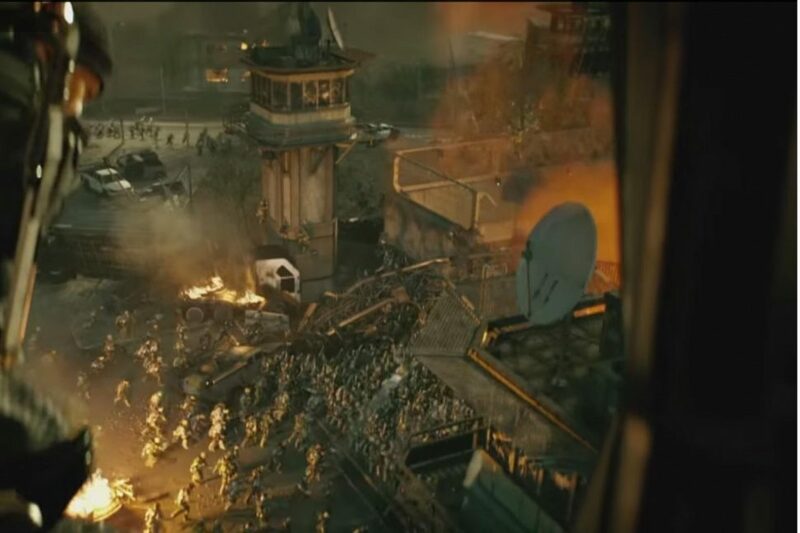 As the character moves through the zombie infested building, you see all the havoc and chaos that has been unleashed. Originally a zombie mode was not going to be part of the Advanced Warfare series, but developers had dabbled with the idea sometime around the games launch date. The new mode is going to be completely unique to the series co-op experience along with a new breed of zombies. The idea of zombies having Exo suits seems absolutely terrifying given the end footage of the released trailer. In order to play the new zombie mode, you must either purchase the Havoc DLC or season pass, which will also have other exclusive content. Right now if you purchase the season pass, that includes all four DLC packs; available in 2015; you will receive $10 off. It not only features Exo Zombie mode, but a new weapon that is available December 11th and new Atlas Gorge maps. The revamped COD 4: Modern Warfare map Pipeline will be included with the season pass content. It was a fan favorite and has been upgraded for COD: Advanced Warfare players. Though the developers have been quiet about what will be included in the new Exo Zombie mode, they highly encourage players to watch out for new information being released in the upcoming weeks. Please visit SledgeHammer games for the latest updates.